Nestled on the side of a gentle slope with views galore across the Knysna lagoon, lies the lovely Knysna suburb of Rexford. It gets its name from the founder of Knysna, George Rex, who arrived in Knysna in 1804, and played an important role in the development of Knysna. With pedestrian-friendly streets, this very popular Knysna neighbourhood offers a safe haven for families and a tranquil setting for the retired. 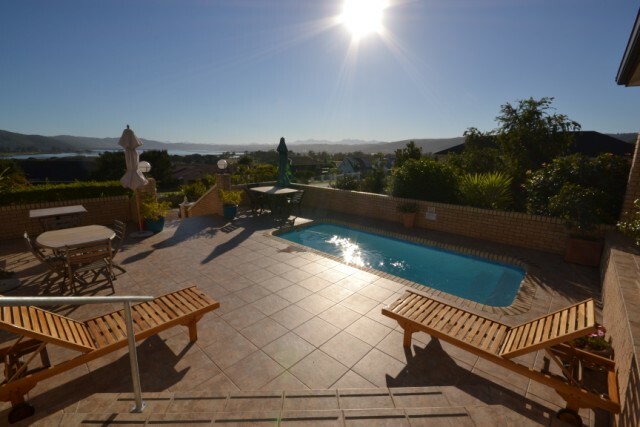 Perfectly positioned between two spectacular golf courses (the Knysna Municipal Golf Course and the Pezula Championship Golf Course), Rexford is the ideal location for golfers on holiday in Knysna. The centre of town, the Knysna Waterfront, and the Knysna Yacht Club are all a mere ten minute drive away. The town offers abundant boutique shopping, internationally acclaimed restaurants, and plenty of arts and crafts. Rexford is also home to Hospice and is in close proximity to the Knysna Private Hospital. This pretty neighbourhood is filled with sunshine and warmth, and boasts some of the most magnificent views across the waters and of Knysna's brilliant sunsets. Home is where the heart is, and the ambience in Rexford will make your heart skip a beat!